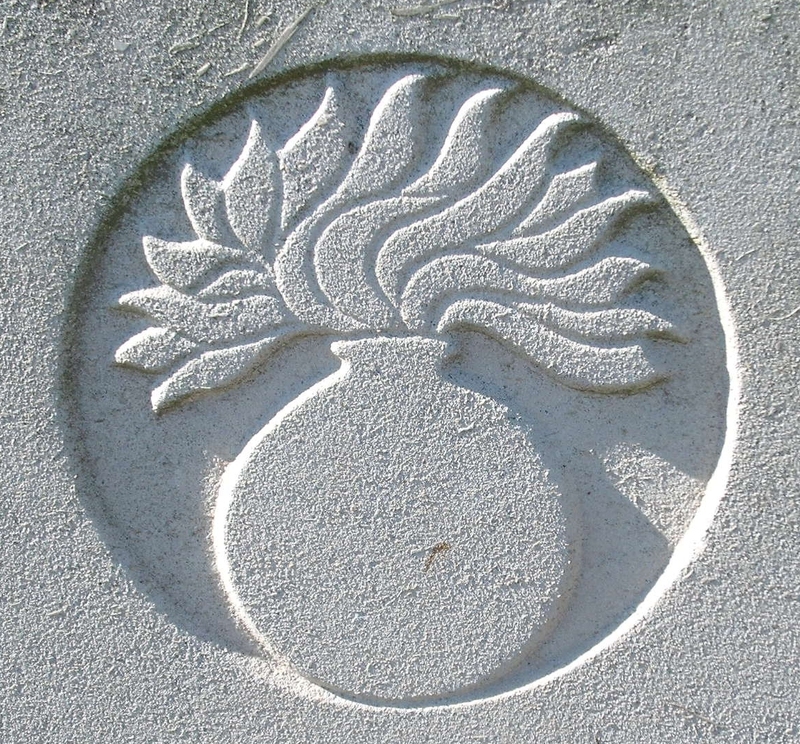 3rd Grenadier Guards, 2nd Guards Brigade, Guards Division, B.E.F. Next of Kin: Son of George and Harriet Ann Pouncett; husband of Cissie E Pouncett? Arthur Edward Pouncett was born in Cradley in 1887, the son of George Pouncett, a farm labourer and his wife Harriet Ann. The family resided in Oxfordshire during the taking of the 1891 and 1901 Census. His mother, was born in Mathon, Herefordshire. An Arthur E Pouncett married Cissie E Hobday in early 1915 in th Droitwich Registration District. Arthur Pouncett joined the Grenadier Guards and, along with the rest of the 3rd Battalion landed in France on 26th July 1915. On the 19th August 1915 the Battalion were attached to the 2nd Guards Brigade, part of the newly formed Guards Division. The following month they took part in the Battle of Loos. Compared with the small-scale British efforts of Spring 1915, this attack of 6 Divisions was a mighty offensive indeed – it was referred to as ‘The Big Push’. Taking place on ground not of their choosing and before stocks of ammunition and heavy artillery were sufficient, the opening of the battle was noteworthy for the first use of poison gas by the British Army. Despite heavy casualties, there was considerable success on the first day (25th September 1915) in breaking into the deep enemy positions near Loos and Hulluch. But the reserves had been held too far from the battle front to be able to exploit the successes and succeeding days bogged down into attritional warfare for minor gains. At 4.40pm on the 27th September 1915, the 2nd Guards Brigade advanced to Chalk Pit Wood and the Chalk Pit, in the Hullach area of the battlefield. A further advance to the buildings at Puits 14 was halted by machine-gun fire from Bois Hugo. The Brigade attacked these positions again on 28th September, but were again held up by heavy machine gun fire and were ordered to halt.